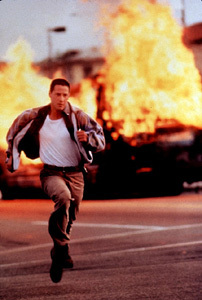 Unleashed upon audiences in 1994, Jan de Bont's Speed was an action film masterwork. The film solidified the stardom of Keanu Reeves and Sandra Bullock, while setting the standard for non-stop cinematic thrills. You may think that they'll give you another medal if you pick up all of the bus driver's pieces, but how well do you know Speed?